Carnival’s customer experience division is led by John Padgett, who was instrumental in developing Disney’s $1 billion MagicBand and MyMagic+ project and is now Carnival’s chief experience and innovation officer. He introduced the Ocean Medallion, a quarter-size 1.8-ounce waterproof wearable device powered by a battery that will last at least a month, at the Consumer Electronics Show (CES) 2017. The Ocean Medallion, that you can carry in a pocket or in a bag or wear it around your wrist, neck or on your belt, is the central element that allows for personalization and the use of technology to elevate the cruising experience on and off the ship. It was first deployed on the company’s Regal Princess ship—a 1,100-foot behemoth with 19 decks that can carry 3,500 passengers and 1,300 crew. The modern-day cruise ship has multiple restaurants, attractions, shows, and activities. With so many choices and no way you could experience everything on one cruise, personalization enabled by technology can help passengers get exactly what they want when they want it without spending much energy figuring it out themselves. The Ocean Medallion—“the most extensive experiential Internet of Things that’s ever been done,” according to Padgett—relies on 7,000 sensors placed throughout the multiple-decked ship. There are hundreds of miles of cables on the ship that support the technology. Every stateroom door and staff mobile device is also a sensor to enable the Internet of Things experience. Each passenger’s name is carved into a Medallion that’s connected to them, tracks their movements throughout the ship and works in conjunction with Ocean Compass, the app and service that displays personalized recommendations for every passenger on 4,000 digital interaction points from 55-inch high-res screens distributed throughout every area of the ship. What Does the Ocean Medallion Do? Set up their cruise itinerary before they leave home. Check-in remotely and connect to Ocean Ready, another Carnival technology that allows cruisers to answer health questions and go paper-free, select food preferences and excursions before boarding. Access their stateroom without a key. In fact, thanks to geolocation technology, as passengers approach their room lights will turn on, and the A/C will adjust to their preferred temperature, and their room’s door will unlock when they arrive. This is not only convenient for passengers; it helps Carnival save energy costs by optimizing services for when they will be used. Restaurant and activity reservations can be made, and passenger allergies and food and wine preferences will be remembered. Receive invitations to special events and personalized recommendations for what to do. Track their children and other members of their group, so they know where they are. The medallion offers intelligent navigation throughout the ship—important when you are navigating 19 floors. Cruisers can order anything on demand no matter where they are located and charge purchases to their account without needing to carry any credit cards or money around with them. The medallion aims to be in tune with what passengers are doing in real-time even if that’s different than what they had planned to do. It will adjust its support based on what they need at the exact moment. Passengers can also opt-out of certain tracking programs and determine how much personalization and service enabled by the Ocean Medallion they wish to use (passengers can always choose not to wear the medallion). 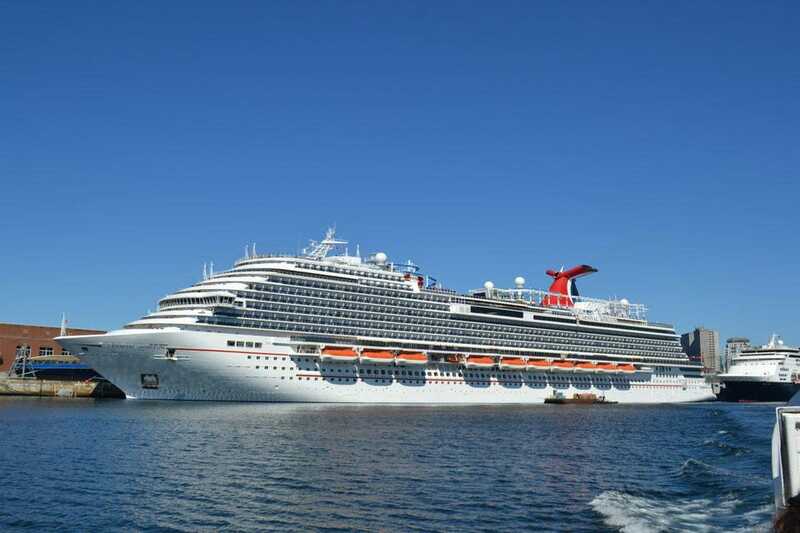 Internet of Things technology, artificial intelligence, and connected devices and the way they are deployed to provide exemplary personalized service to Carnival cruisers is the way the company hopes to achieve a competitive edge from other cruise lines such as MSC Cruises and Royal Caribbean who are also unveiling their own personalized tech experience.